The summer season is in full force and with it comes longer days, warmer nights and outdoor activities. It doesn’t take much to make a patio or outdoor space functional, but for some it’s hard to find a place to start. Consider the following tips. 1. Determine how the outdoor space will be used. Before choosing any outdoor furniture, ask yourself what you will be using the space for. Are you looking for a space to eat al fresco? Do you want a place to lounge in the sun? Will you use your space for entertainment or relaxation? Once you’ve decided how you will use your outdoor space, consider the furniture pieces you will need and a style that matches your tastes and preferences. For example, if you are looking for a place to sit and lounge, wicker chairs could give you the comfort you desire. If you want to gather around the fire pit, Adirondack chairs might be the perfect choice. If you are looking for outside dining pieces, sling chairs and a tabletop will give you the seating you need. 3. Consider the space you are working with. 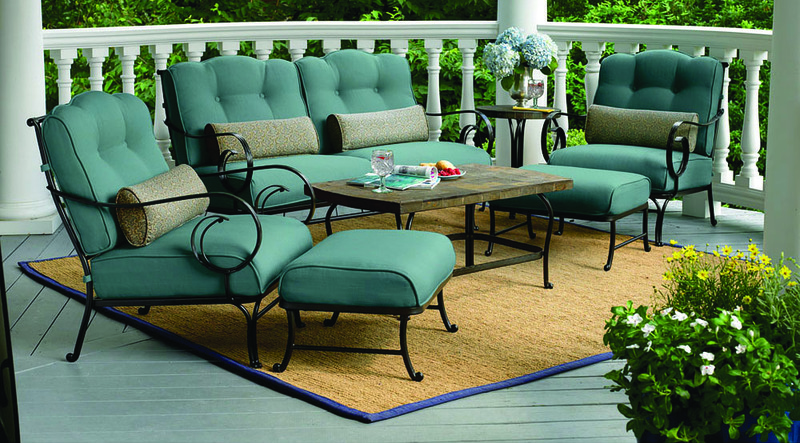 Determine the size and amount of furniture your outdoor space can comfortably accommodate. Make sure to measure any patio, deck, porch or green space you plan to utilize. If you are placing furniture in an uncovered area, consider setting a large patio umbrella nearby. It will keep you and your guests protected from the rays when the sun is at its highest. 5. … or the lighting. To make use of your outdoor space in the evenings, add some soft lighting elements. Lanterns and candles are a simple solution that will give you more time outdoors. 6. Add some soft touches. 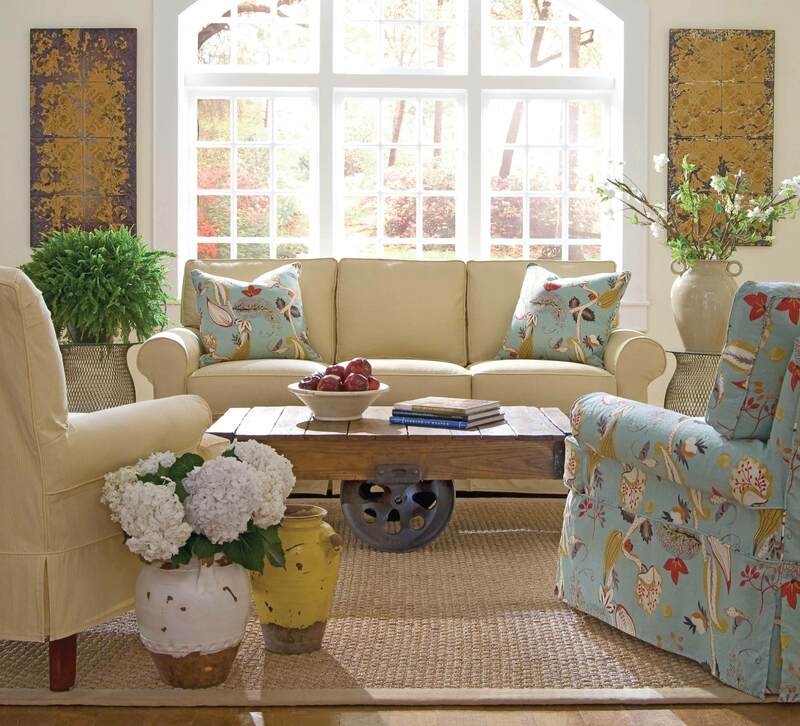 Outfitting your furniture with cushions, throw pillows and accessories can soften an otherwise hard surface. Using materials that can withstand the natural elements will ensure that your decor will last longer. 7. Tie it all together. Anchor your furniture and space using outdoor area rugs. Choose colors and designs that compliment your home’s exterior or outdoor décor for a finished look. With a few pieces of furniture and décor, you can make your outdoor space a summer haven for barbeques, parties, or simply a quiet night at home. Make sure to check out all the great brands Kendall carries and find patio furniture that will suit your outdoor needs this summer and for years to come.